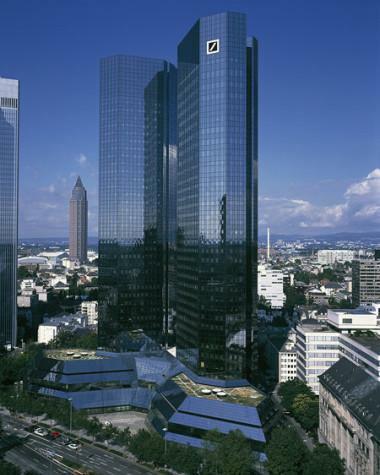 Deutsche Bank and Commerce Bank have announced that they will begin merger talks after the government has finally approved that they can lay off workers. For those unfamiliar with the real world behind the curtain, you must realize the extent of socialism in Europe. A major telecom company in Germany called me and asked me to attend an emergency board meeting. They would not even tell me in advance what was so urgent. I flew in that morning from London and to my surprise, the board voted to make me the adviser to the company pension fund and never even asked me for a proposal of a fee structure. Then the majority of members resigned. I asked what was this all about? The German government had approved that they could lay off 25% of its workforce. At the last minute, the government changed its mind and told the company it was not fair for them to pick and choose. Instead, the company had to make a flat offer with a pay-out of about €150,000 to volunteer to surrender your job. The end results were devastating. Every worker who knew they could get a job with no problem took the €150,000 and left. The company lost its best workers and was then left with the very people they wanted to get rid of. The board directors resigned for they did not want their career associated with what they expected to be a disaster over the years ahead. This is how government works behind the curtain. There is absolutely ZERO common sense. We will undoubtedly witness a lot of crazy conditions behind the curtain because the approvals are never logical.